Drill down being reset when using another control! 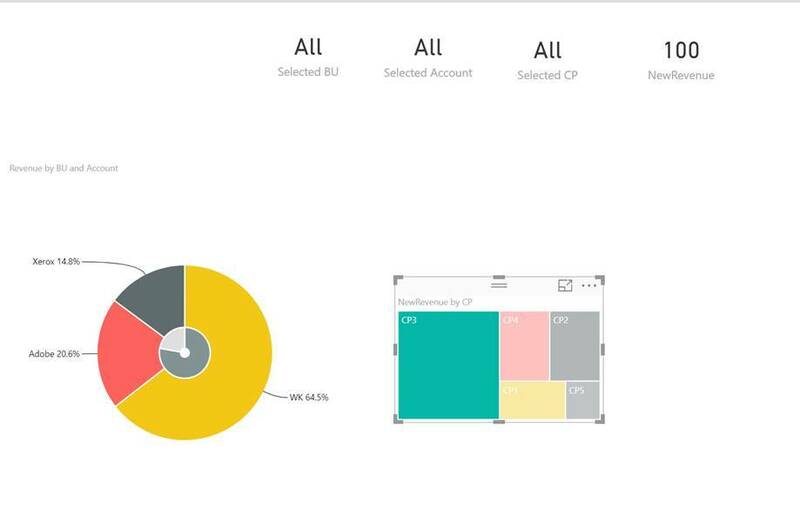 When I am using the piechart in PowerBI, and drill down, and when i click on another control, the entire hierarchy gets reset. I do not see the problem using the native piechart and using control+click. Why don't the other controls read the selected hierarchy? With another control do you mean different visual? Anyway the data source is shared between visuals, so interacting with one chart will filter the data that is used in other charts. Yes a different visual, in this case a map, but it is true with every control as well. I am using a Map to show the Client Partners in within the drill down. Issue: When I drill down on a “New” Business Unit, Map gets filters for all Client Partners in my “New” Business Unit. When I click one of the filtered Client Partners “CP3”. The Map reverts to Business Unit – All. This happens at every level. The zoom chart pie – however remains at the drill down level. I put together a few measures and displayed the selection, to see the behaviour. Screen shot attached: On clicking CP3 of the drill down, this is what happens – the Map goes back to 5 CPs which is for all Bus, where as the Pie remains on “New”. In the native Pie control, I can use Control – and use the hierarchy to click on CP3, and it filters for BU -> New, CP -> CP3. I really want to use zoom, cos it Is a lovely control. Please help! Hi is there any update on how to handle this? 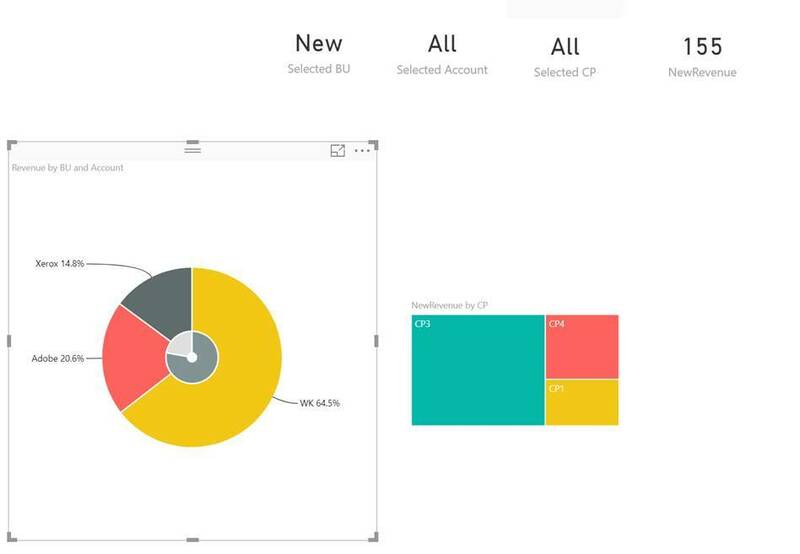 Custom visual charts don't interact with each other, but only filters data that is used in other charts, meaning that currently it is not possible by clicking on other chart to trigger donut chart to drill down or reset it's drill down level. We have marked this issue and we will try to add such feature when it is going to be possible by using Power BI environment.